PENSACOLA, FLA - Rectangular. Triangle. Oval. Octagon. 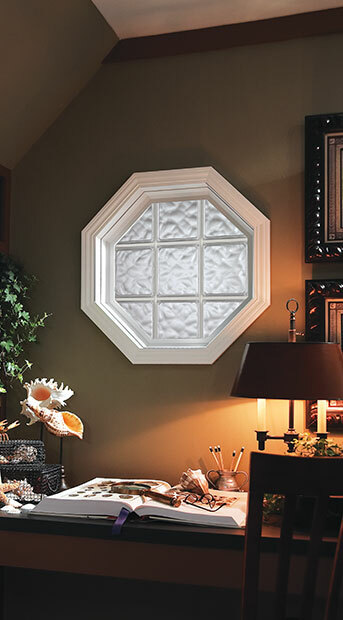 No matter what the shape, Hy-Lite can create privacy accent windows for the home. "We've created entire sunrooms and walls of acrylic block windows," says Roger Murphy, president of Hy-Lite, a U.S. Block Windows Company. "We have great design flexibility with creating architectural shapes such as arch tops, round tops and other unique shapes with acrylic blocks. And, there are many block styles to choose from, such as Clear Wave, Cross Rib, Glacier Wave and our SunBlockTM PLUS options." Decorative glass and silk screened privacy windows from Hy-Lite are ideal for focal points in the home and where privacy is needed in a room. Popular shapes include ovals, squares, and octagons. Four frame color options --- white, tan, driftwood and bronze --- are available along with a variety of caming styles for leaded glass style windows. "Whether you're looking for a leaded glass oval window to accent a hallway or a silk-screened square window, we can satisfy your desires," says Murphy. "Our offering also includes stunning wrought iron style windows and acrylic block casement windows that open for ventilation. These windows can easily be incorporated into multiple rooms within the home."